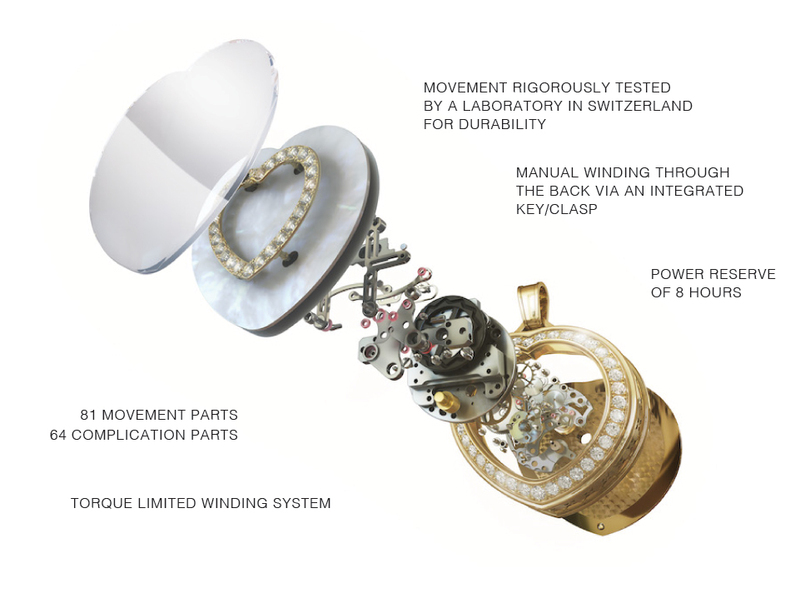 A torque winding movement powers the Heart’s Passion jewelry with Magnificent Motion system by Paul Forrest Jewelry Co. Earlier this year, in April, we broke the news here about Paul Forrest Co. — a luxury jewelry company producing pendants using watch movements to power them. The Heart’s Passion collection is the brainchild of a man who has been around the watch industry for years: Paul Forrest Hartzband. Since I have also been around the industry for years, it turns out, I knew his family, so we discovered during a face-to-face meeting just about two years ago to talk about his launch of the brand. Having been in this wonderful industry for three-and-a-half decades, I love when I see something truly new. And with the line Paul was showing me, that something new came in the form of a stunning pendant necklace with a center heart motif that moves. The patented movement of the heart — with the two halves moving apart and back together almost like a heart beating — is the Magnificent Motion complication and we can expect to be seeing a lot more of it. In fact, the jewelry is making its way to stores, as I write this post. It was so different that I knew I wanted to be a part of it. This is how I helped. When I saw the collection — in drawings only, mind you — I was really excited, so I jumped right in, working closely with Paul Forrest Co. to create the “Heart’s Passion” name, the “Magnificent Motion” name, and the tag line “Key to your heart.” I also developed the website copy and to lent a host of other ideas to the brand for the launch. 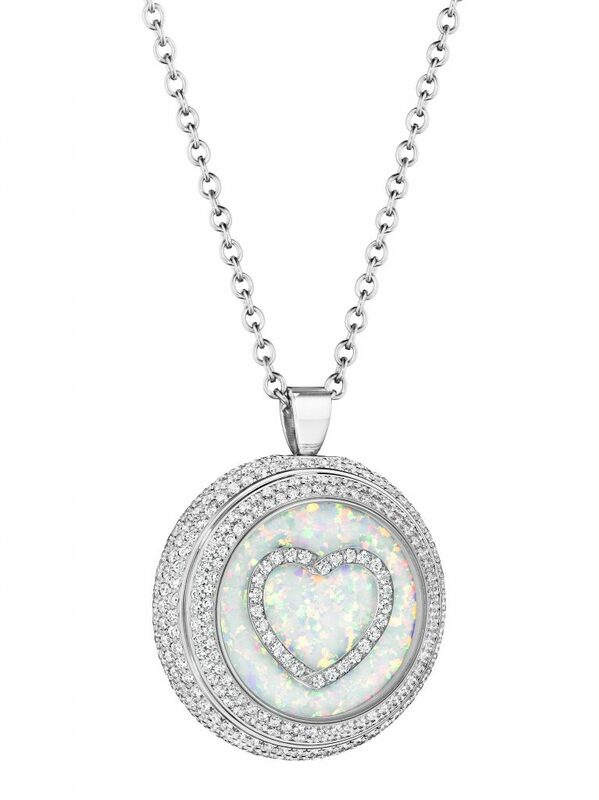 The round Heart’s Passion pendant from Paul Forrest Co, with Magnificent Motion technology that enable the heart motif to move. 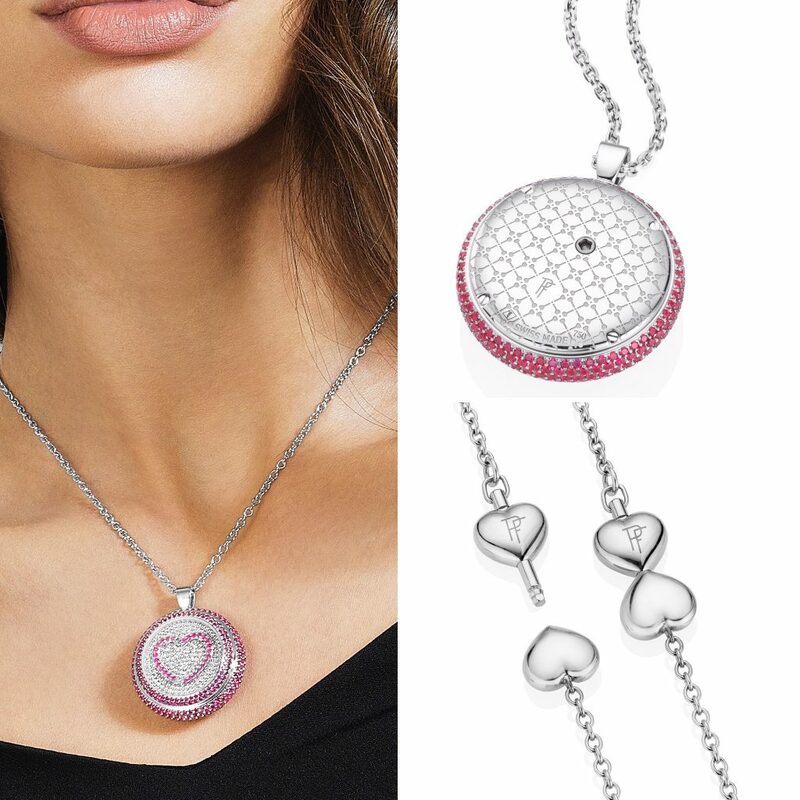 I think this series of Swiss-made pendants — round, or heart shaped — with the moving heart is sure to stir a particularly romantic note in celebration of love. Making the line even more charming and offering a truly immersive side to the jewelry is the fact that each pendant is wound by a tiny key set into it. Hence, the “Key to your Heart” tag line. This Magnificent Motion, Heart’s Passion jewelry collection marks the first time a jewelry company has incorporated a high-tech watch movement into its design. What thrills me most about this collection is that men and women can admire it. 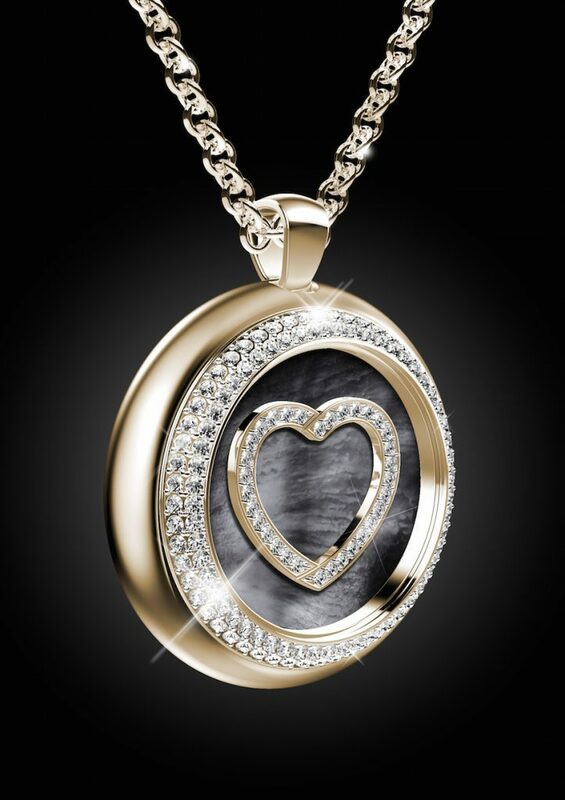 Granted, this first heart series is made for women, but what a cool way for a man who loves watches to tell the woman in his life he loves her. Additionally, this patented technology can be brought to life (pardon the pun) in a host of different designs — which I know the creative genius that is Paul Hartzband already has in mind. Each Heart’s Passion watch is crafted of the finest materials, including precious stones and diamonds. Designed for today’s contemporary woman who wants something truly different, Heart’s Passion, marks the first foray by Paul Forrest into jewelry. The brand uses the finest materials and techniques to craft the signature jewelry. With its style and movement, the Magnificent Motion concept achieves the company’s goal of creating stunning jewelry unlike anything ever seen before — timeless elegance with an artistic side, alive with passion and movement. Hartzband, who has a long history in watchmaking and jewelry manufacturing and design, has developed and registered hundreds of patents in the field over the course of his career. It makes sense, then, that he would choose to locate the Paul Forrest manufacture in the Val de Travers in Fleurier, Switzerland — a small village known for its haute horlogerie history. This is where the exceptionally small mechanical movement, Caliber PF-001, that powers the motion of the heart is crafted. For lovers of all things mechanical, of watches and jewelry, of creative insight — Magnificent Motion jewelry is the answer to uniqueness. With more than Heart’s Passion on the drawing board. 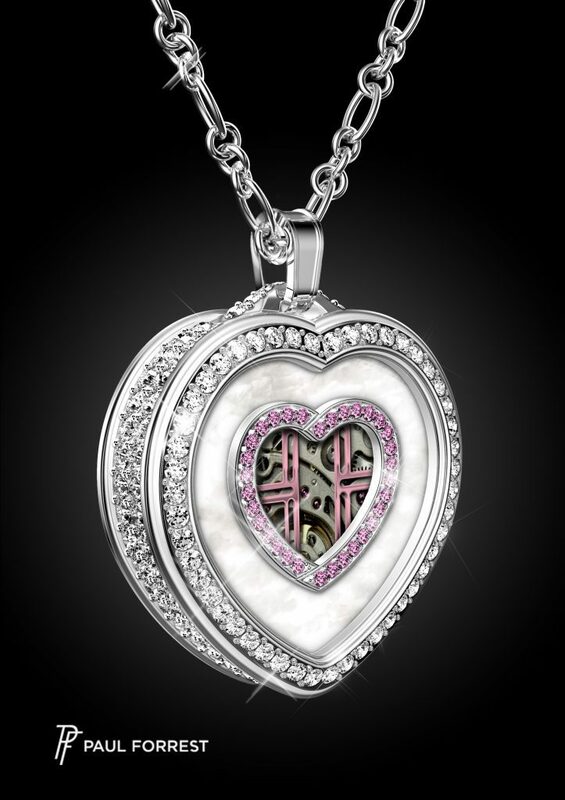 The Heart’s Passion collection of jewelry from Paul Forrest Co., with moving heart motif, via the patented Magnificent Motion concept, is powered by an exclusive watch movement. Each component and its materials are selected to guarantee top performance and aesthetic beauty. -316L stainless steel, high-grade aircraft quality aluminum, Durnico, Brass, Maillechort, Steel, CuBe (Copper-Beryllium), Titanium. -Guidance and support arms are constructed from aluminum to limit the weight of the moving elements. -Pin in contact with the cam drive has ruby to limit friction. -Specially coated Teflon Cam wheel. -Medallion shaped jewel comprised of 35 pieces (not including diamonds/ rubies/sapphires). -Winding integrated Key/Clasp constructed in 18K Gold. Clasp is deployed by a push button. The key has a built in “Breguet” type ratchet system constructed in 316L for ease of winding. International warranty is valid for a period of twenty-four (24) months from the purchase date. It takes effect only if the warranty certificate has been correctly dated and completed. An approved Paul Forrest Co. 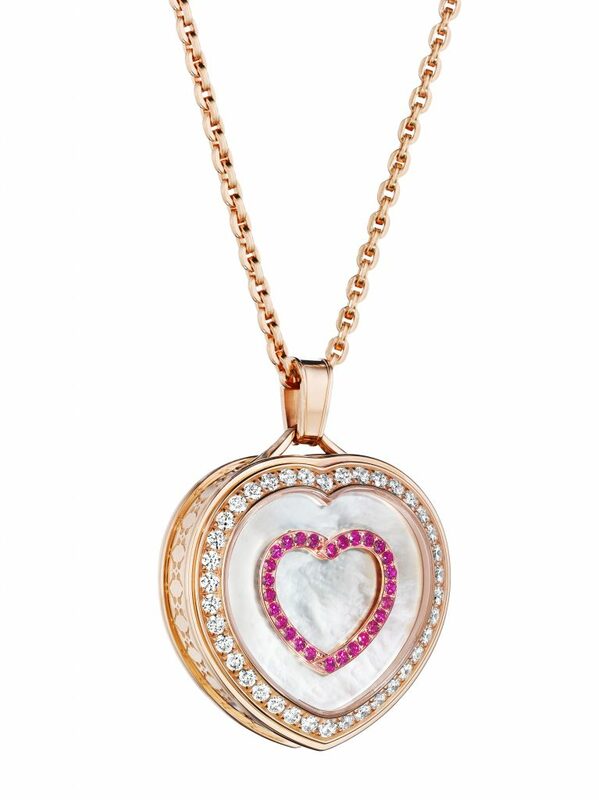 The Paul Forrest & Co. Heart’s Passion pendants, with Magnificent Motion technology are Swiss-made with Swiss-made movements.